The shell of its glorious past has made an identity of its own. An independent character that is perhaps better than its previous glory. Welcome to the fifth stop of Kim's Quest. This post is more of a story of how the place came to be and an impression it has on me. As the area is famous to tourists and travellers alike, you can easily find a blog that could give you all the information you needed, so you don't have to worry if you're planning to visit. The Ruins' facade. The glow from the lighting transformed the whole structure into something magical. A feast to the eyes. 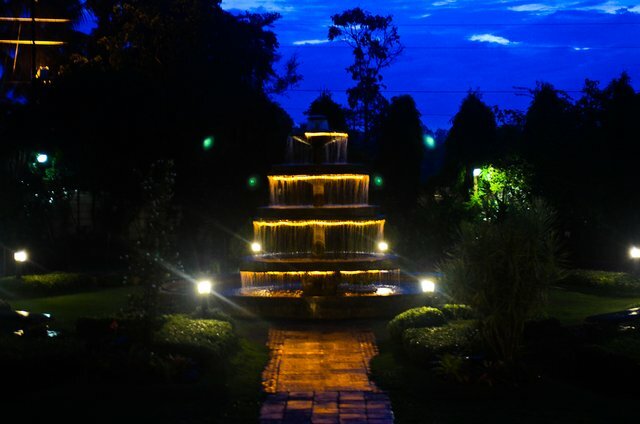 More than the beauty of the place specially during the night, the place harbors a great vibe and emanates an aura that encompasses both time and space. This is perhaps due to the great story behind the place that's gold on its own. The fountain located at the right side of the ruins. This is a great place to relax and feel the overall mood of the place. This is a story of love, tragedy, and reemergence. 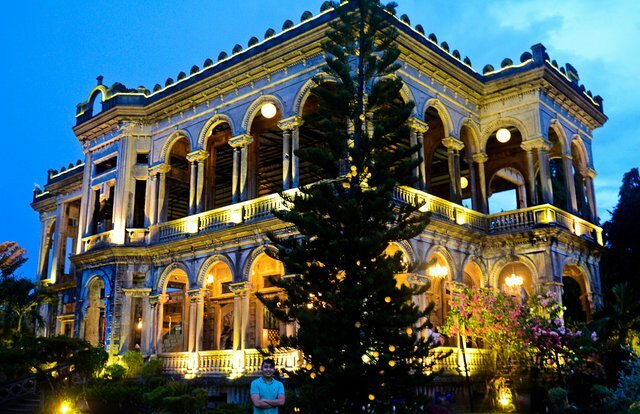 Calling The Ruins as The Taj Mahal of Negros is recognizing the glory of its Aggra counterpart. 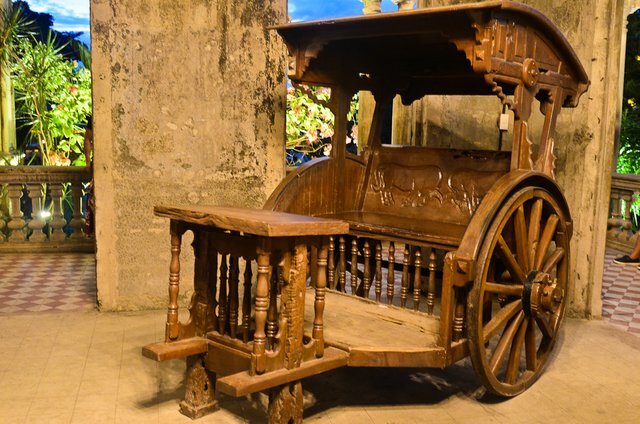 If you knew the history of that ancestral house-turned-museum, comparing it to the Taj Mahal of India might have a little bearing of its moniker. 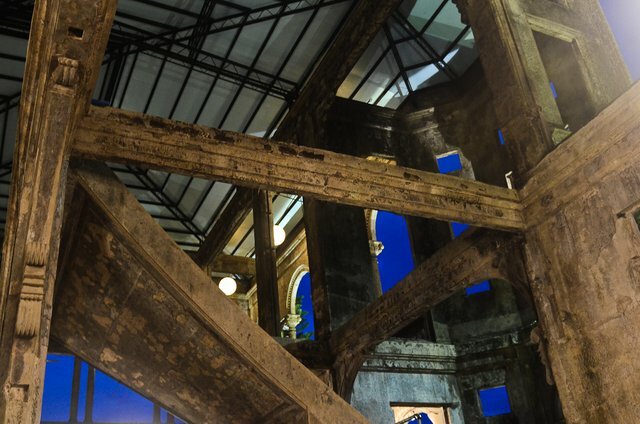 Some would tone it down by calling it The Taj Mahal of Talisay, but some did go further by previously calling it The Taj Mahal of the Philippines. 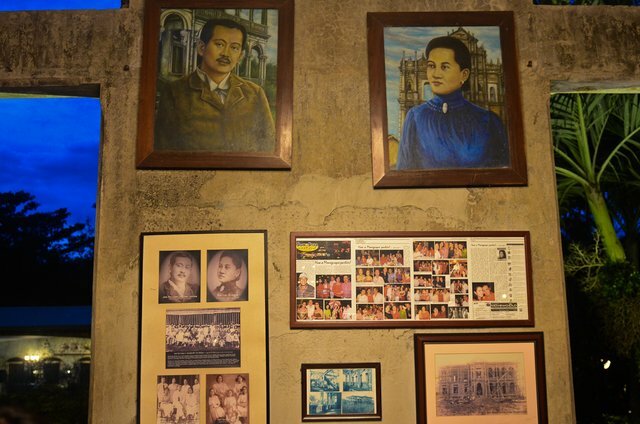 Portraits of Don Mariano Ledesma Lacson and Maria Braga Lacson, family and descendant photos, and a photo of the mansion during construction. They're hanging on a cement wall of what's left in the mansion. This is a story of Don Mariano Ledesma Lacson and Maria Braga Lacson. This is the story of how the mansion was built. 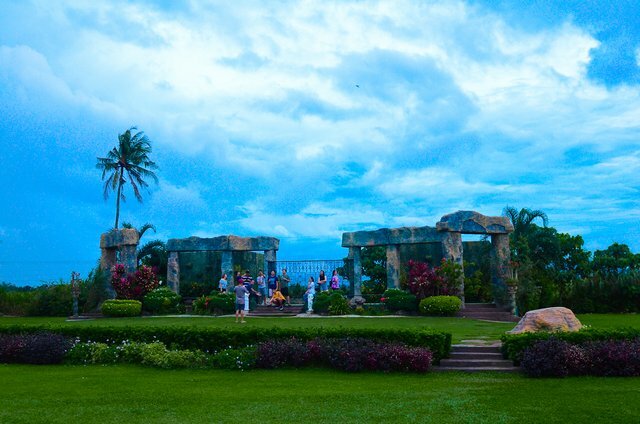 During the Spanish rule in the Philippines, Don Mariano owned a 440-hectare sugar plantation in Talisay City. 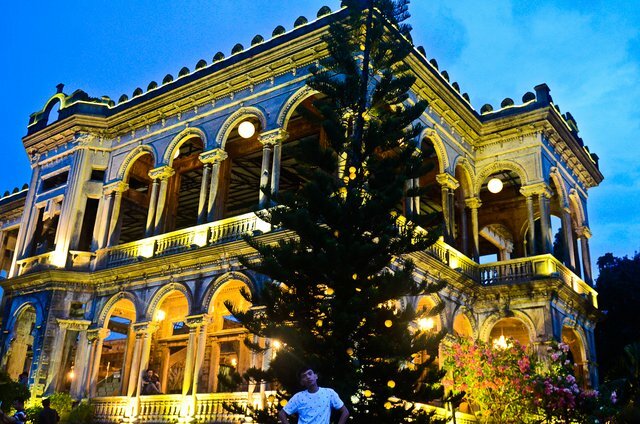 As a haciendero or sugar baron, he made sure that everything is going well in his estate. He was a charming young bachelor back then who also loved to travel around the world. 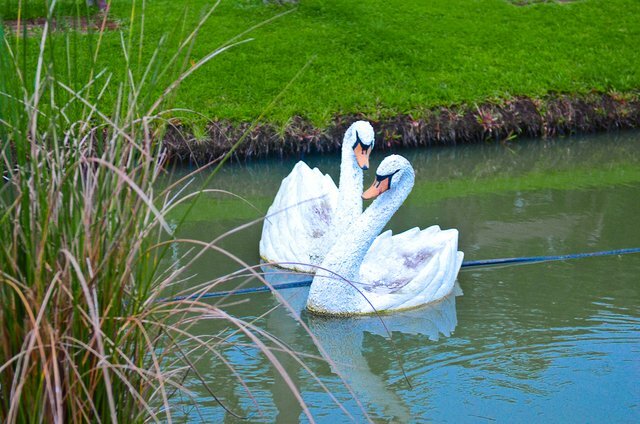 Two swan statues at the lagoon. I guess you know what that represents. When Don Mariano visited Hongkong in one of his travels, he noticed a pretty Portuguese lady from Macau named Maria Braga. They immediately fell in love with each other! He met her father right away who was a ship captain. As her father agreed with their whirlwind romance, it was not very long until the two love birds eventually got married. At the right side of the structure, near the fountain. They lived in an ancestral house in Talisay after the marriage and were blessed with ten children. A prolific marriage indeed, but as Maria became pregnant with the 11th child, she slipped in their bathroom. She had a bleeding due to that accident. Now take note of this. The nearest doctor at that time was in Silay City. That's two days away via horse carriage, the fastest mode of transportion during that era. It takes another two days for the doctor to travel to Talisay, so Don Mariano waited for four days for the attending doctor. A replica of a calesa or horse carriage. Unfortunately, Maria and the baby died before the attending physician reached the ancestral house. A devastating event struck Don Mariano and the family which left the patriach in grief and broken. We are still in the story of love. 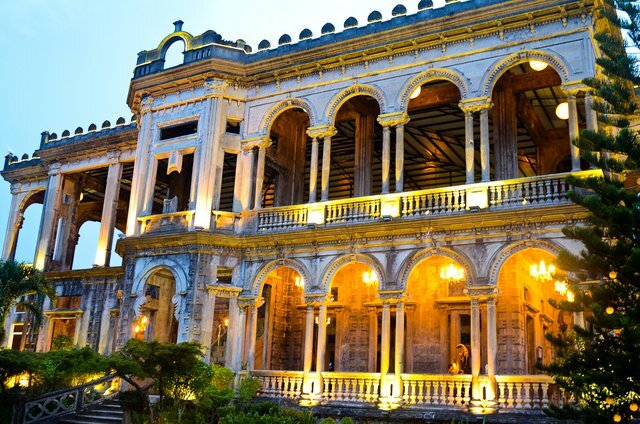 To help Don Mariano move on, or maybe just to distract himself, he decided to build a mansion near the ancestral house. He did that in the memory of Maria Braga. He consulted Maria's father who supported the idea by providing part of the funds and the design of the mansion for reference. It was said that only the best raw materials from all over the world are being used in the construction. It was built into perfection that it was said to have used only egg whites in mixing the cement. There's no water used in the cement! I don't know if that was true, but I think that's the reason of its sturdy structure even until today. That's the story of romance, love, and family that built the mansion before it became The Ruins. This is a story of the mansion. A tragic story of how that mansion was ruined. 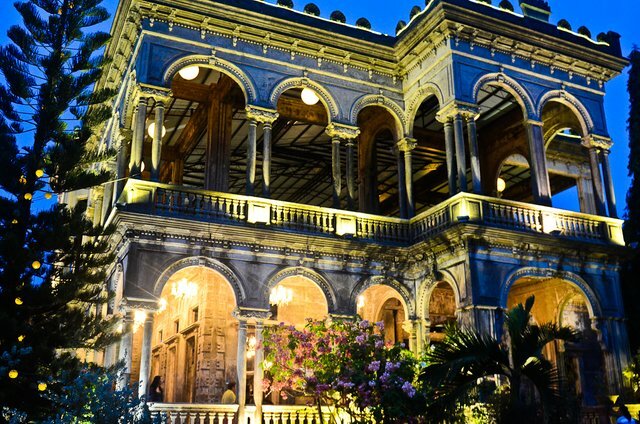 After the mansion of Italianate structure was finished, Don Mariano and his unmarried children lived the house. It was the biggest residential structure in the area that time. The grand staircase. What's left of the internal structure after the mansion was set on fire. World War II happened and it forced Don Mariano and his children to leave the mansion, including everything that's in it. When the US Forces came to the area, there were rumors that the Japanese might occupy the mansion as their command post. To prevent it to happen, the mansion was set on fire. The mansion was on fire for 3 days. It burned everything in it that's made of wood. What's left was an empty cement shell as it lies in ruins. 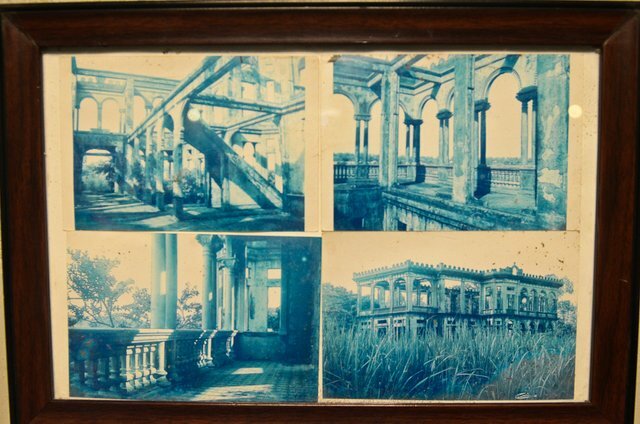 That's how the Don Mariano Ledesma Lacson Mansion became The Ruins. Tragic! 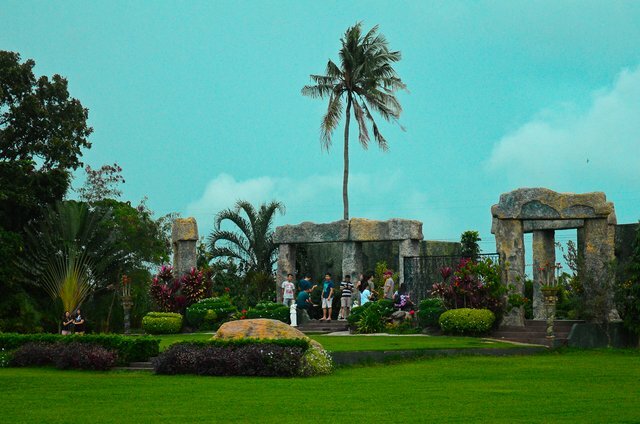 Today, The Ruins is one of the sought-after destinations of Negros Occidental. It captured the hearts of tourists as much it captured my heart. It became an invaluable piece of history and a source of stories worth to be told to the next generation. The structure stood grander than ever. It's like a phoenix that reemerged from the ashes of its previous body. Perhaps the greatest reemergence is not much about the structure itself, but on the story of love and tragedy that is being told to the visitors of the mansion. This is at the left side of the mansion where most events are being held. The Ruins accepts events and gatherings in the area. It also became a restaurant, as well as a spectacular attraction. Weddings are usually held in the area at the left side of The Ruins, specially during this time. It's amazing to imagine how two tragedies made something spectacular in the end. 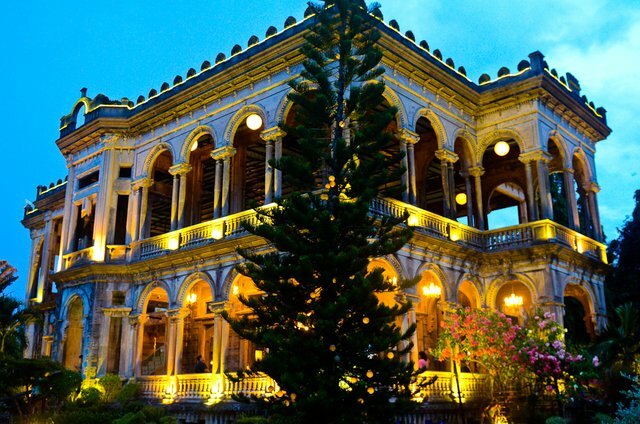 First is how the tragedy of the death of Maria Braga influenced Don Mariano to build the mansion. It's because of his love and devotion to his wife that he had such act. Second is how a desolate and ruined mansion made into something more glorious than its previous state. That's because of Javellana and the descendants of Don Mariano and Maria Braga who believed in the love story of their great grandparents. 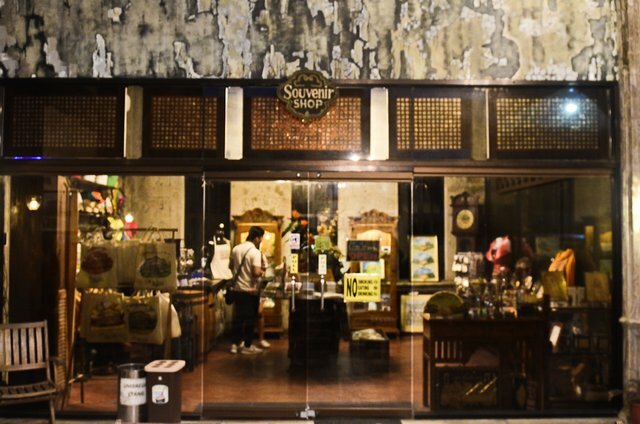 Part of the interior was transformed into a souvenir shop. Truly, love conquers all kinds of tragedies. That's the only decent photo I had there. And I call that decent enough. See you in the next Quest! With that, we're grateful we have chosen this blog to be featured and upvoted by @onerace to empower impactful Philippines' Culture and Tradition blogs. Pagdala gyud ug camera and adto kanang padung na gabie. Lahi ra ang vibe if gabie. Thank you, @gratefulayn! Amazing gyud ang place mao nakawrite ko ingon ana. Nindot sad ang story behind those structures. The ruins in the background is so lovely! Hope to visit this place soon. Indeed, @hypervira! But more than the place, the story behind the place is also worth telling. It's so interesting. Nagpa picture ra jud ko diri. Wala ko na curie. Awwww. Grats again, Kim! Ika pila na gani ni? Wow! Hahaha. Pun i pa sir kim! I've been reading your '@curie article' this afternoon you wrote six months ago. I found it helpful and I appreciate the time and energy you put into all the work. I'm delighted with the success you've been granted on Steemit. I had a question for you - Are we encouraging Steemit articles to be original or does the community think it's acceptable to republish work you've submitted elsewhere? I used to have my own blog, but since getting so much more attention on Steemit, I ditched it. It also feels like republishing takes value away from Steemit. If people read your blog with the same content, why would they bother reading your work here? Hi Nick! Thank you for reading my post. I checked your blog and you're really good at what you're doing. You were curied a lot also! Congrats for that! Regarding your question, I have friends with the same situation as you are. Reposting your previous work here on steemit is not bad since it's still yours, but you might attract @cheetah. That's specially if your blog has been indexed by Google. My friend sometimes reposted her previous work and she just indicated that it's a repost from her blog. She also included the link of her original post. As for me, I would discourage it specially if you have been curied many times. Your reputation might be affected as a quality content creator if you will be commented by @cheetah in your reposted article. I followed you now and I'm excited for your next posts. By the way, congrats for your latest curie! I found you work as I google searched "best tags to use steemit" or something to that effect. You were on the front page of that search. Upcoming posts of mine will include more of my fictional work. If you know of any tags or groups that I should be sharing my work with, please let me know as I'm trying to build a following for my fictional writing. Have you tried @thewritersblock? It's a group in Steemit that's into fiction.